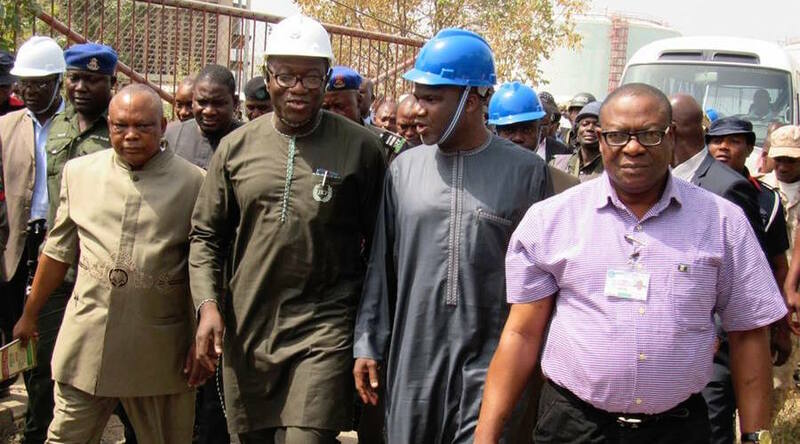 Nigeria’s Minister of Solid Minerals Development, Kayode Fayemi during an inspection at the Ajaokuta Steel Company (Photo: Kayode Fayemi). Nigeria’s Minister of Solid Minerals Development,as to support a long-term development plan for the country’s mining sector. In an exclusive interview published today by the local newspaper This Day, Fayemi said that NSIA is getting a lot of interest from private capital and equity funds venture capital. “We need to put a lot more weight on access to finance by serious players in the sector and we have gone about this in a multi-pronged manner,” he is quoted as saying. The Natural Resource Fund, domiciled in the Central Bank of Nigeria, has the mandate to support the development of alternative natural resources outside oil and gas. Its particular focus is on a recently launched plan aimed at boosting the mining sector. Back in August, President Muhammadu Buhari’s administration approved a new roadmap for the mineral extractive industry, which is expected to contribute up to $27 billion to Nigeria’s GDP by 2025. Fayemi said that the government is particularly interested in supporting exploration. “We believe because we are starting from below zero, the major miners will come in once they see that things are beginning to be discovered, they will begin to refocus their interest in Nigeria,” he told This Day.